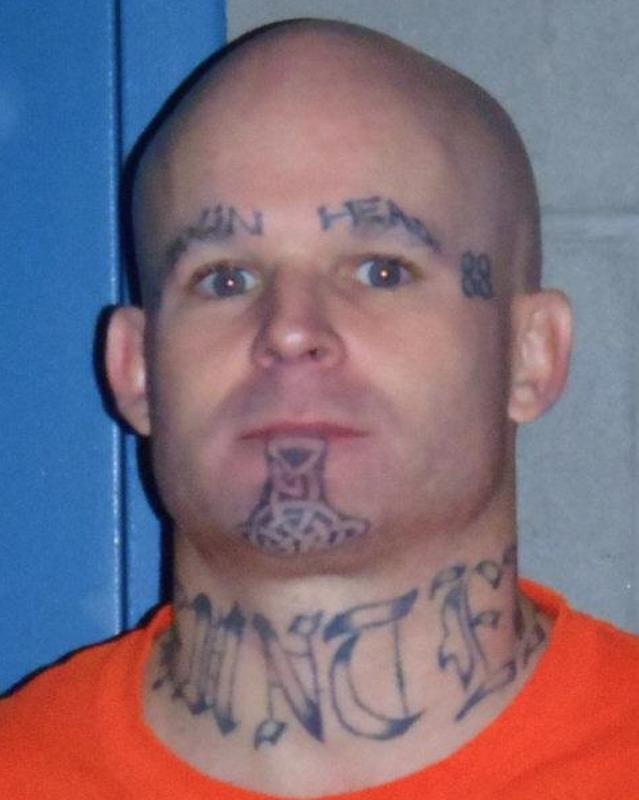 A longtime white supremacist skinhead, with a criminal record that stretches back 20 years, faces a sentence of life in prison after pleading guilty to a 2015 Arizona shooting spree that left one man dead and five others wounded. Ryan Elliott Giroux, 42, pleaded guilty Friday in Maricopa County Superior Court in Phoenix to all 23 charges he faced, including murder, attempted murder and aggravated assault. His guilty pleas did not involve an agreement with prosecutors. Giroux’s attorney, Pamela Nicholson, said he told her “he wished to take responsibility for his actions and did not want to put the victims nor his family through the emotional drain of a trial,” the Arizona Republic reported. “He knows exactly what he's facing,” the defense attorney told the newspaper. Once a member of the notoriously violent Hammerskin Nation skinheads, Giroux had been scheduled to stand trial in July. Last September, prosecutors opted not to pursue the death penalty in the case. When he’s sentenced during a hearing on June 10, he faces life in prison without the possibility of parole for the death of David Williams. During the 30-minute shooting spree on March 18, 2015, Giroux fatally shot Williams and injured his mother, Lydia Nielson, at the Tri-City Inn in Mesa. He then fired shots at a bistro and later at two apartment complexes as he attempted to find a getaway vehicle. Giroux forced his way into a couple's apartment, frantically looking for car keys, before shooting the couple's 24-year-old grandson in the shoulder. Fleeing on foot, Giroux took a maintenance worker's car keys at gunpoint, repeatedly shot another worker, and then broke into a vacant unit at a nearby condominium complex. The rampage ended when the Mesa SWAT team fired a stun gun and subdued the suspect. A retired Mesa police detective told Hatewatch last year that Giroux was a member of Hammerskin Nation and later, while in prison, became associated with the Aryan Brotherhood. Giroux’s criminal record goes back 20 years, with convictions for drug possession, theft and aggravated assault in Arizona, California and Washington. At the time of the Mesa shooting spree, he was on probation for a 2007 attempted aggravated assault.